- Night was a rock band formed in 1978 in Los Angeles whose personnel were veteran British-based session musicians. Night's vocalists Stevie Vann (aka Stevie Lange) and Chris Thompson had met when Vann had provided backing vocals for the 1978 album Watch by Manfred Mann's Earth Band then fronted by Thompson. Soon afterwards Thompson invited Vann to join him in a new outfit, Vann's session group known as Bones having recently disbanded and Thompson having reduced his involvement with Manfred Mann's Earth Band. Richard Perry produced two albums by Night for his Planet label; the group's eponymous 1979 debut album yielded two US Top 40 hits: "Hot Summer Nights" (#18) and "If You Remember Me" (#17). "Hot Summer Nights", a cover of a minor Walter Egan hit, featured Lange on lead vocals and gave Night their one international hit most significantly in Australia at No. 3 with more moderate success in Canada (#23), the Netherlands (#21), New Zealand (#28) and South Africa (#13). "If You Remember Me", recorded as the theme song for the film The Champ, was introduced on the Night album but in its single release credited solely to Chris Thompson with another album track "Cold Wind Across My Heart" - featuring both Thompson and Vann - being marketed as the second Night single; the latter track failed to chart and the Night album peaked at a moderate No. 113, the group's gig opening for the Doobie Brothers failing to significantly boost their popularity. 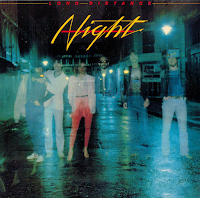 A second album release by Night in 1980 entitled Long Distance produced a minor hit in its single release: "Love on the Airwaves", and was otherwise overlooked. Night had no further recordings released but did not officially disband until 1982. 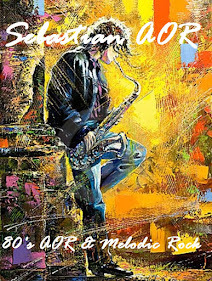 - There's a connection somewhere between New Zealand, South Africa, and good ol Blighty with this band. 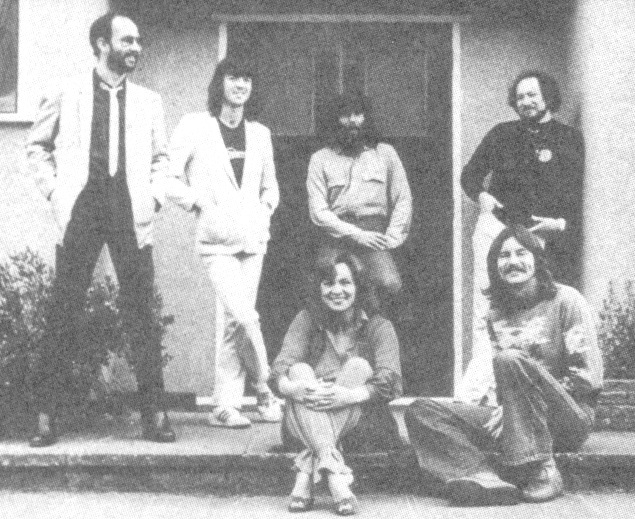 NZ'er Thompson previously sang with South African Manfred Mann and his Earth Band, Stevie Lange is a South African by birth (at one stage married to producer Robert 'Mutt' Lange, her maiden name is Van Kerken), Billy Kristian is a NZ'er as well, while McIntosh is English. Not sure about the other two, but near enough is good enough. The band came together in 1978, and released their debut album the following year. A slightly different lineup for that one, which yielded the hit single 'Hot Summer Nights', a favourite on Classic Rock stations, and heard quite often on radio at the time. It also featured many L.A musicians, including members of Toto. With 'Long Distance' their sophomore effort, the sound shifted between the cosy radio friendly environment of Fleetwood Mac and Heart, but had more of an AOR edge to it. Most of the songs are punchy, and see the vocal lead split between Lange and Thompson. Standouts include the smooth AOR of 'Don't Break My Heart', the superb jingly-jangly 'Love On The Airwaves' and the desperate musical heat of 'Callin' Me Back'. The pent-up energy continues on 'Stealin', though by this stage, the foot is taken off the accelerator with the lukewarm efforts of 'Miss You (Like I Do) and 'Day After Day'. Perhaps because of that, the album is not as immediate as the debut, and this is where the major difference is apparent.